Now that the final remnants of my Easter eggs are gone, it time I start getting myself back on track and start exercising and looking after my health a bit more. Prior to the Easter break, I was drinking green smoothies and eating a bit healthier and exercising three to four times a week, it's amazing how quickly I fall off the wagon, but now I'm back and looking to improve my general health and wellbeing. 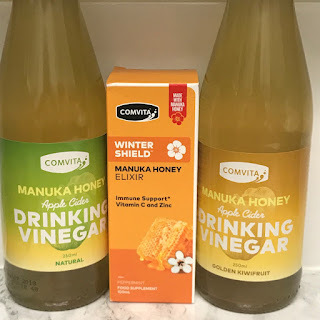 I have read so much amazing information on the health benefits of Drinking Apple Cider, so I was delighted to try Comvita’s Apple Cider Drinking Vinegar which is available in two refreshing flavours, Natural and Golden Kiwifruit both are naturally sweetened with Manuka Honey which is made by New Zealand honeybees, with no added sugar or artificial colours, preservatives or flavours, a great drink for on the go. I have also been trying Manuka Honey Elixirs which is very pleasant taste, this soothing elixir contains Vitamin C and Zinc to help contribute to the normal immune system functions and helps protect against coughs and colds. 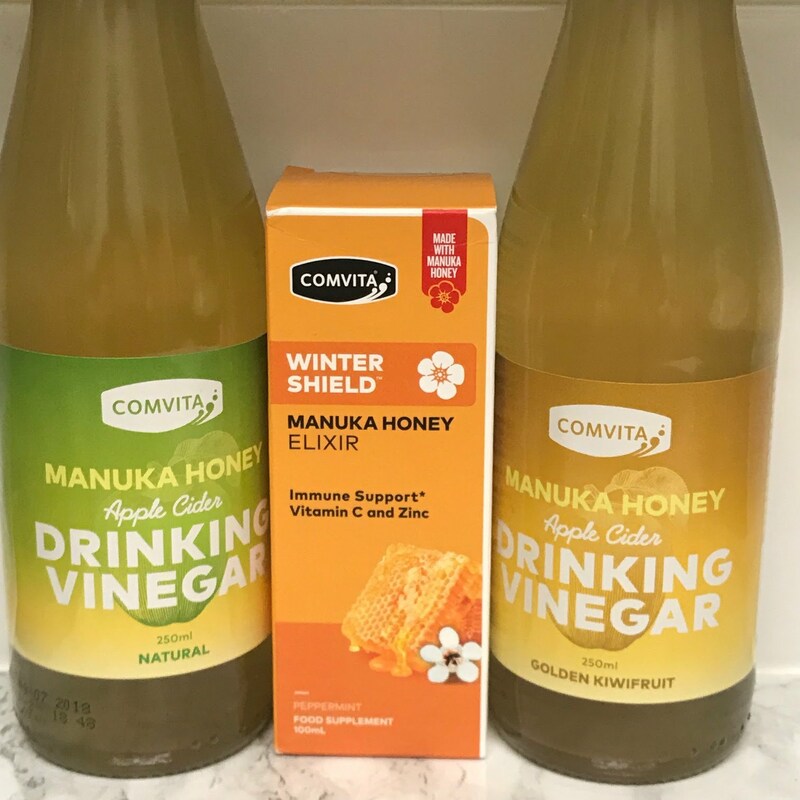 Comvita’s Apple Cider Vinegar £2.99 whilst the Manuka Honey Elixirs are £9.98, both are available to purchase online (www.comvita.co.uk) and at Holland & Barrett.